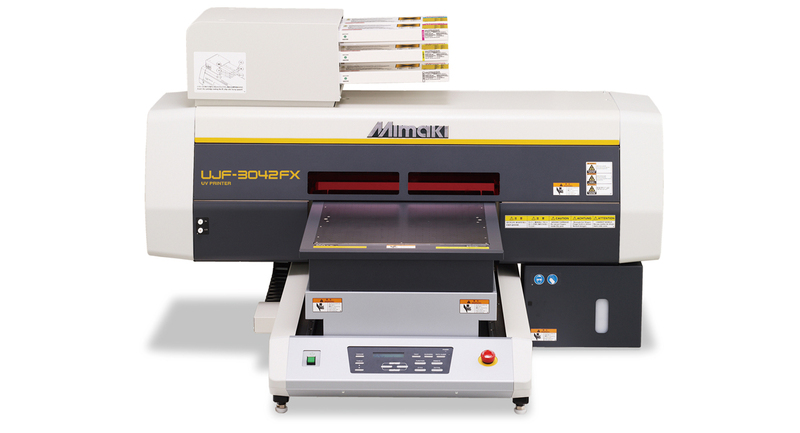 Click the button below to add the Mimaki UJF-3042 FX UV Printer to your wish list. JF-3042FX ensures that you can respond to your clients requirements for single or short run digital printing enhancing a multitude of products (including molded items), substrates and media up to 50 mm thickness with personalised messages. 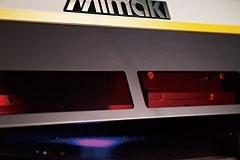 printing on heat-sensitive material becomes possible. Print outstandingly colorful, bright images on transparent and colored substrates with white ink under or overprint that do not slow down print speed. 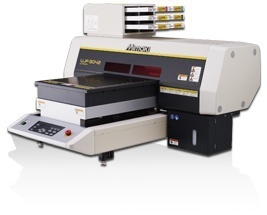 Fast and accurate printing with new print heads that accommodate full color and white in two lines thus doubling print speed. Select the order of overand underprint with white in RasterLinkPro5 (included standard RIP software) and the most efficient path is determined by the software. Experience efficient high productivity without further operator intervention. Without white ink as a basis for overprinting, the colors are not as vivid as they could be. With the white ink overlay print, the image is bright and vivid. Different layer printing enabling haptic surfaces will impress your clients. 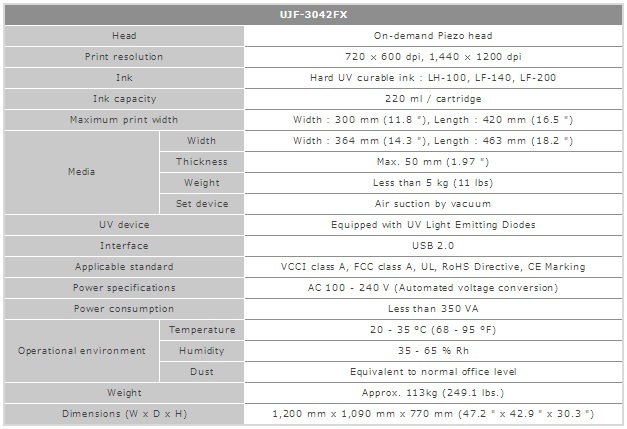 UJF-3042FX is equipped with Ink mist absorption filter for higher print reliability, consistency and quality. Head gap should be 1.5mm maximum of our recommendation. For wider, please test in advance as print quality decreases when gap is wider. UV LED offers decisive energy savings, longer diode lifetime and a close to no VOC* emitting printing environment.